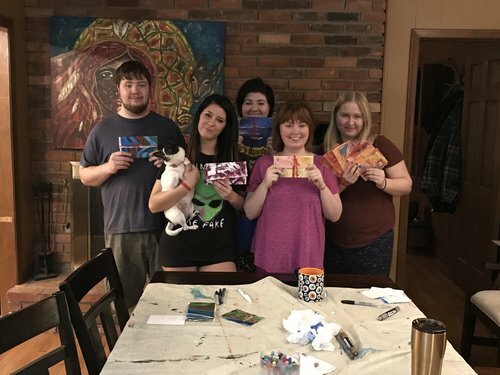 Red Thread Sessions are short, powerful sessions of painting and writing using the process of Intentional Creativity™ to tap into your deep inner wisdom. Can be private sessions or gather a group of friends! Sessions can be done in person (if you live near Detroit and surrounding areas) or on Zoom and Skype. Through a process of deep inquiry, discover the gifts you are here to share with the world and paint your own Medicine Basket to re-mind you just how prescious and needed your gifts are. 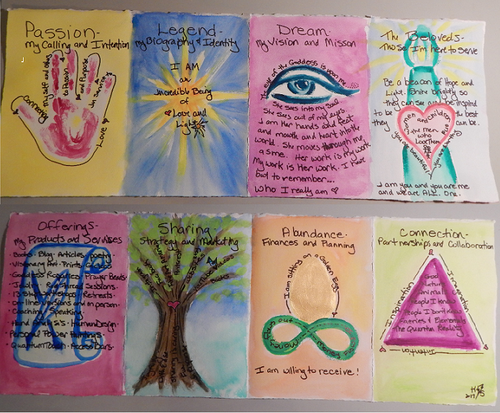 Make your own personalized deck of affirmation cards. We'll examine your limiting beliefs and stuck places and turn them around, empowering you to see life from a different perspective. Create a vision plan like nothing you've ever seen (or experienc-ed) before. Get a clear vision for your business, project, or your life!